The first measurable snowfall happened today here in the Twin Cities. I’m not all too crazy about winter, but love it or loathe it, you might as well look cute for winter and Christmas. So I give you two holiday items, perfect for Secret Santa gifts or stocking stuffers. Enjoy the winter wonderland, Minnesotans! 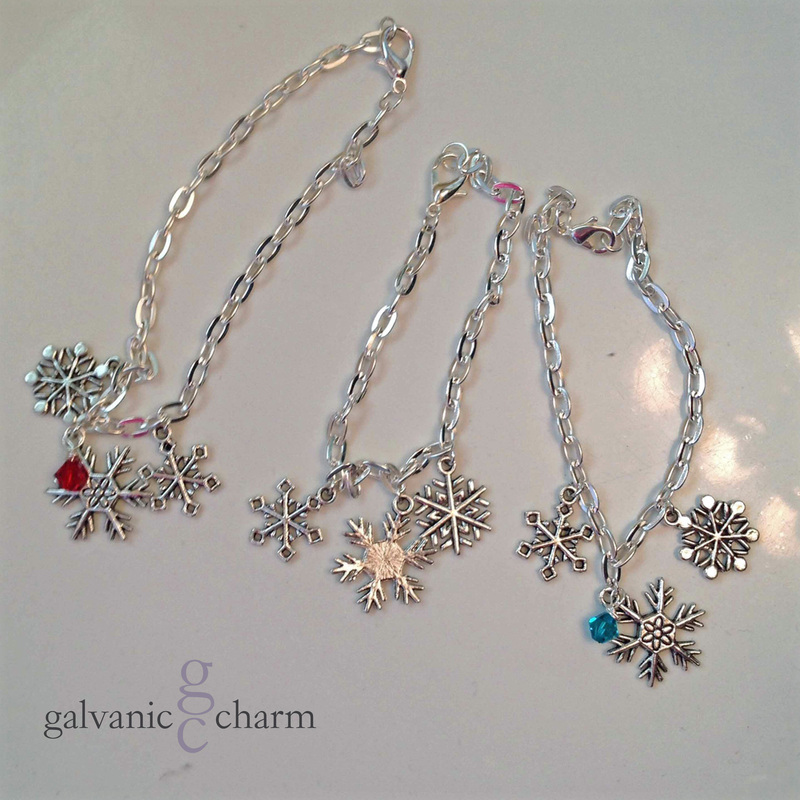 SNOWFLAKES BRACELET – Charm bracelet with three 2cm pewter snowflakes, 7.5″ (adjustable) silver plated cable chain with lobster clasp, and optional wire wrapped Swarovski crystal drop. If ordering with a birthstone or crystal, please specify month or color. $15 apiece as shown (without crystal) or $20 apiece (with crystal). Available directly or on Etsy. 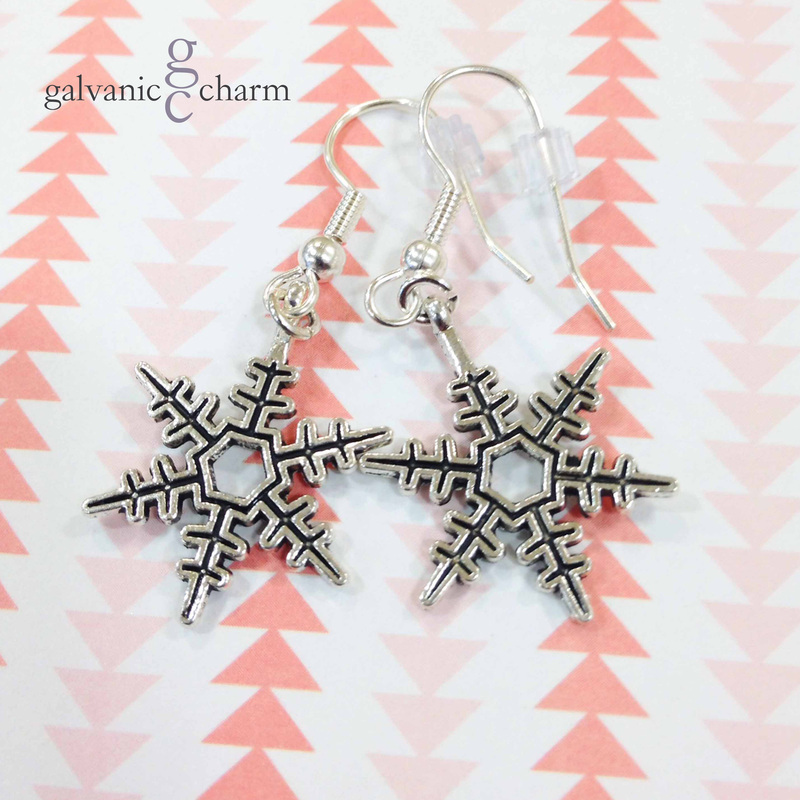 SNOWFLAKE EARRINGS – Silver wire dangle earrings with pewter snowflakes. Approximately 2cm point to point diameter. $10 as shown. Available directly or on Etsy.